From a lost age...horror crawls from the depths of the earth! 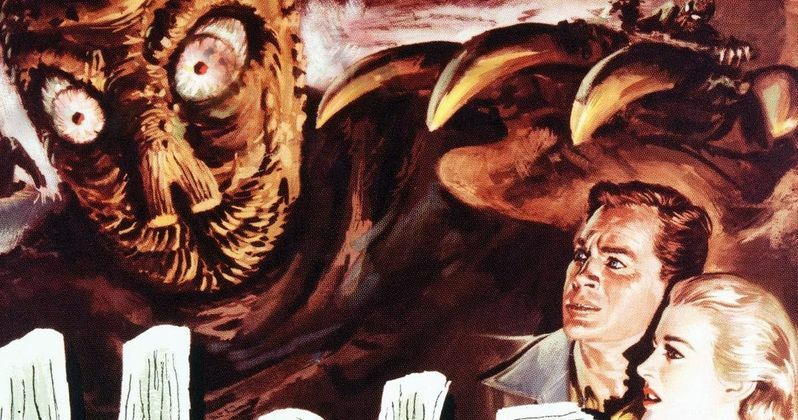 Scream Factory proudly presents The Mole People on Blu-ray for the first time in North America on February 26th, 2019. Scream Factory's release presents the film in two aspect ratios (1.85:1 and 2.00:1) and comes complete with special features including new featurette, new audio commentary with Film Historians Tom Weaver and David Schecter and the Mystery Science Theater 3000 episode of The Mole People. John Agar (Attack of the Puppet People), Hugh Beaumont (Leave It to Beaver) and Nestor Paiva (Creature from The Black Lagoon) star as three archaeologists who discover the remnants of a mutant five-millennia-old Sumerian civilization living beneath a glacier atop a mountain in Mesopotamia. The party of archeologists come upon an unusual race of albino beings who shun all forms of light and have mutant mole men as their slaves. Because of their "magical cylinders of fire" (what we know as flashlights), these archaeologists are treated like gods - until they try to liberate the mole people. Can the archaeologists escape this hallowed mountain in Asia ... or will they be destroyed in a strange underground world?